Ah, smartphones. What would become of this website if these unique devices didn't exist and, in such an event, not run the best mobile operating system in the world? Smartphones have changed the way people behave, how they connect with others and even their everyday lifestyles. It's clear, like in every evolutionary process, that some products end up being highlighted, creating a paradigm and attracting more attention. In this article, I picked out 10 models that I consider essential to Android's history. The Samsung products that were launched before the Galaxy S3 were good, such as the Galaxy S2 and the Galaxy S2 Lite. Actually, the Lite was, for a while, my baby. However, the S3 was the device that really started the power struggle between Samsung and Apple. I dare say that no other manufacturer, at that time, could make the claim that they were competing with the iPhone, at least not publicly. So you have a better idea, in just four months of sales, the Galaxy S3 sold 30 million units worldwide. The Galaxy S2, its predecessor, sold close to 40 million throughout its whole life-cycle. For the first time, a huge group of users were doubting whether they should wait for the iPhone 5 or buy an S3. Powerful, with a unique look and running a completely different software, the Galaxy S3 was innovative in many ways. The model began to impact on Galaxy S4 sales, it's successor, so much that it forced Samsung to take it out of circulation early so users would be more interested in that season's launch. Today, the Galaxy S3 would be a mid-range model and there is no shortage of custom ROMs for it. Let's start at the beginning, and it begins with the Moto G 2013. Many people say it was driven by Google but I believe the Moto G would have existed anyway, seeing as Motorola needed to move in a new direction after burying it's RAZR concept. Moto bet on something that most manufacturers were ignoring at the time, or at least they pretended not to see, which was the need for a model with a solid cost/benefit ratio. This was only possible by letting go of clunky software, investing in good specs and a design that mixed both ergonomics and versatility. Instead of launching one model and then some alternate versions, Moto invested in colored covers to make the brand standout. This move was unprecedented at the time. 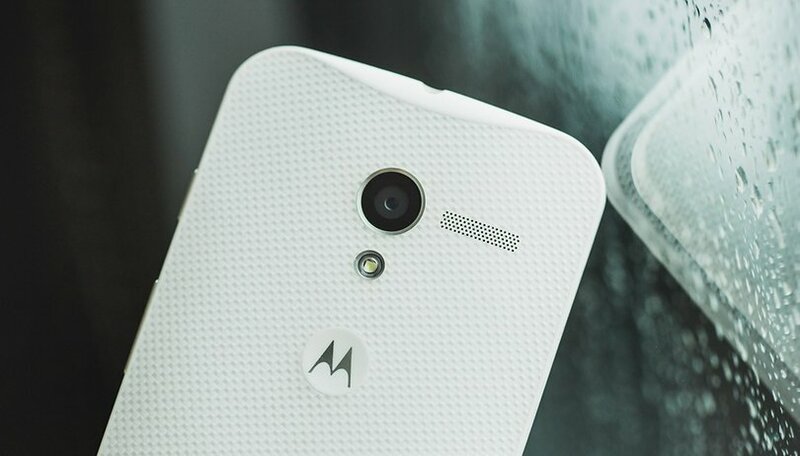 The Moto G is Motorola's highest grossing device to date. Moto G was in subways, trains, businesses and on every corner. Some tried to ignore the model just so they wouldn't be "like the rest of the world". But, if you needed a good smartphone and you couldn't afford something more expensive, there really weren't any other alternatives. The best option in 2013 was the Moto G.
The Moto X, on the other hand, did something unique when it was launched by changing how we interacted with software. Voice commands were unrealistic at that time, since they never worked like they should. Also, Google Now was just beginning to crawl, so Motorola decided to create a system that was intelligent enough to be the product's showcase. Another interesting point was that the Moto X placed Motorola in the concept category, which are those businesses that invest, innovate and believe in the power of their own designs. In fact, the business invested in sensors that understood user movements and speech, and could also interact with the software to create a unique experience. At the beginning of 2013 there were a lot of rumors going around about Samsung's next release, the Galaxy S4. Everyone wanted to know about the new features that would top what was currently available on the S3, which was a bestseller at the time. One of the press' bets was that Samsung would be the first manufacturer to sell a model with a Full HD display. But that's not exactly what happened. One month before the release of the S4, Sony announced to the world the first smartphone with a Full HD display, the Xperia Z. The model came with a water-resistant certification, something uncommon at that time, in addition to having a hub which allowed the device's users to access content made for PlayStation. The Xperia Z was the first to be made using the Omni-Balance design concept, which was used by Sony up to the Xperia Z5. I'm guessing you've already realized that 2013 was an exciting year in terms of launches, haven't you? The LG G2 was an innovative product in both hardware and software. LG chose to move the power button and put it on the back of the device with the rest of the physical buttons. This wasn't common practice, but, nowadays, we can see that numerous manufacturers have physical buttons and biometric sensors in the exact same place that LG put theirs. So much so, that now, when we look at these products we think "hmm, that is so LG", or "that looks like an LG". The G2 came with an impeccable Full HD LCD panel which was much better made than what we had with the Xperia Z. In regard to software, Knock Code and Knock On changed the way users could customize and interact with software. The LG G2 was so successful that LG is still investing in the same features on its more recent models, such as the LG G5. Yes, we had the Nexus 5, but it was not as beautiful as the Nexus 4. The Nexus 4 was the first device "by Google" that was different from what previously had with the Galaxy S or the Galaxy Nexus, which were "Samsung-facing" devices. Pure software, the quality LCD screen, and the look with reflective squares on the glass back were the highlights of the model. Anyone who had a Nexus 4 knows that it had something special, which was, above all, its performance. You could even use the Nexus 4 today without a problem, given that, among your requirements, you don't need a high-end camera. The success of the Nexus 4 was so big that LG was chosen to work with Google to create two more Nexus models, the Nexus 5 and the Nexus 5X. 2015 was a bit quiet in terms of innovation but there was one device launched within that year that we could call innovative, and that's the Galaxy S6 Edge. It's impossible for a manufacturer to be innovative without first taking a risk. In other words, putting a product up for sale and then offering user support afterwards. Like with every novelty, there were plenty of critics about the Galaxy S6 Edge, but, currently, a lot of people would like their favorite manufacturer to have an "Edge" version of at least one of their devices. The Edge concept is doing quite well in China and that's where we can see Xiaomi and other manufacturers incorporating this feature into their new devices. The most interesting part about the S7 Edge is that the model was developed to be both attractive and resistant, despite being thin and having a display with curved borders, which used to be synonymous with being fragile. In fact, the Edge concept was used on the Note Edge but it only started to gain attention with the arrival of the Galaxy S6, where it was much improved. The Zenfone 2 accomplished the feat of arriving to the market with 4 GB of RAM and an Intel chipset, a combo which was unprecedented for Android devices. In the national market, the Zenfone 2 was the first device released with that much RAM. Many users asked themselves if that much RAM was even necessary on a device, but, currently, some models are starting to arrive with 6GB, such as the OnePlus 3T and the Zenfone 3 Deluxe. Along with the device, Asus delivered a software full of features that was productive enough to get the most out of that much memory. Asus even launched versions with 128 GB of storage and a special design. The 128 GB version came with an extra 128 GB MicroSD card, which gave users a total storage of 256 GB on their devices. I confess that I would have liked to have finished this list with the Moto Z, but looking at Motorola's portfolio, it was impossible for me to turn my back on the Droid Turbo 2 (aka Moto X Force). So, let's get started then. This model was responsible for renewing users' hopes who were frustrated after not being able to use their devices (or having to get a brand new one) due to a broken screen. The effort that Motorola put into the construction of this device was huge. As I mentioned before, the manufacturer needed to let go of some "hip" aspects, such as being thin and light, in order to give the users something special. In the Moto Z Force Droid we have the evolution of this technology, bringing together the two features mentioned above. The Moto Z, on the other hand, was responsible for bringing the modular concept to everyday users, which was something we regarded as quite distant from reality. It's obvious that many things concerned with modality need to be optimized, but the way that Moto Snaps are used was something that was thoroughly thought out by the company. All you need to do is magnetically connect and you're good to go. Neither the Moto Z nor the Moto Snaps give off a feeling of being fragile. You can look at these modules and see that there was a lot of work and dedication put into them and they're not just interested in selling something new and expensive on the market. What do you guys think about the devices on this list? Which Android device do you think was innovative but was left out? Let us know in the comments below. Motorola Atrix 4G is it best innovation phone. Worlds first finger print scanner phone. Worlds first qHD display phone. Worlds first phone with Webtop platform for HD Multimedia Dock and Laptop Dock. Worlds first dual-core (CDMA phone). Worlds first Nvidia tegra 2 chipset phone. Inbuilt "Adobe flash on" for smooth browsing. Worlds most power smart phone in 2011. I agree with the S6 Edge being there, I'd say it's the most innovative design change since the first touchscreens without a keypad. I think the S7 Edge is a better phone in every way but in terms of innovation the dual edge design of the S6 Edge was unprecedented. wonder how many others had it ? One plus one was indeed a flagship killer for about 1/3rd of the price of the other flagships at the time; still have mine as good as the day I bought it (via invitation!) and is still all the smartphone I need. Glad to hear you were happy with the phone! Nice summary. Android OS smartphones are for everyone since they range from flagship to budget. Thanks for the comment, Dean. I agree, Android offers something for everyone. I think the LG G5 was a very innovative phone. Not the best execution of the idea but a good concept. I still give a hats off to LG for trying new things. The V10 was also a phone that could have made this list. I am disappointed the G6 will not have a removable battery. I hope the V20 successor will keep it, all early speculation says it will. Deactivated AccountBrittany McGheeLoie FavreDean L.
Yes, I was hoping LG would keep the removable battery for the G6 too. So many advantages others no longer offer! Yes, Apple has been busy catching up to Android phones by copying features from Android phones.. I suppose Apple has been trying to be innovative too - such as eliminating headphone jack, introducing "3D touch", but not many Android phones seem to be trying to copy these iphone exclusive features.